Following the Dominion War, the Starfleet Corps of Engineers realized that it had a problem. During the War the Corps took horrendous casualties, in events such as the Siege OF AR-558, and the Battle of Ricktor Prime. 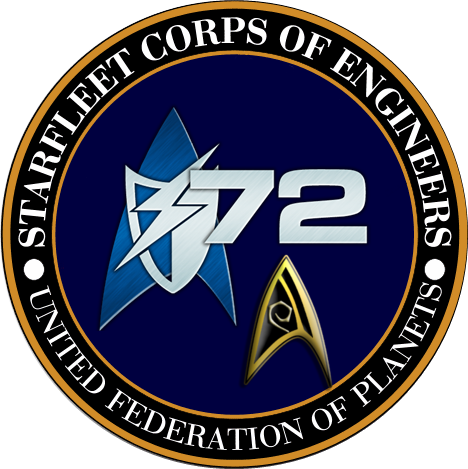 While compared to other branches of Starfleet it might seem that the Corps got off light, but in relation to the number of personnel who make up the Corps Of Engineers you could say that the war bled them dry. Following the war, it was decided that certain, fundamental changes needed to be made in order to prevent the Engineer's from taking such casualties in future conflicts. Many ideas were purposed, but one that stuck was the implementation of the Corps "Detachment". The idea was that a detachment of officers coming from all areas of Starfleet would receive additional training, giving them a proficiency in Engineering as well. A typical detachment would include members from most of the major departments and be headed by a more senior member of the Corps. The idea was that in the event of conflict or even on away team missions the Detachment would provide its own security, medical aid, and anything else it might need without having to resort to sending Engineers not as well trained in these specialties into potentially dangerous environments and thus better able to operate independently. Expanding on this idea it was also decided that members from other departments that would be on the team would have more specialized knowledge of Engineering in relation to their own field. So for example a Medical Officer would also specialize in analyzing, repairing, and installing medical equipment and devices. The Detachment Program has thus far only been introduced on a few vessels but has proven to be greatly successful, and the Corps is looking to expand the concept to other vessels. The Indefatigable is one of the latest vessels used by the Corps to employ the Detachment system.